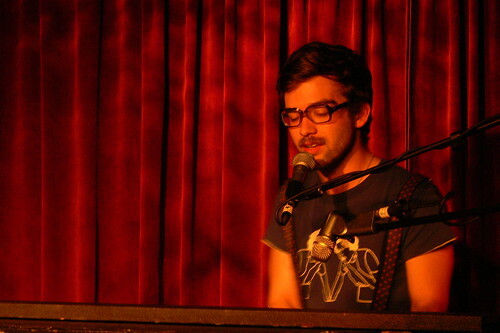 Chris Garneau is a heart-wrenchingly delicate voice, an awesome mastery of the piano and very much the male counterpart of soviet songstress supreme Regina Spektor. On Tuesday the 6th October Chris Garneau will be playing at The Luminaire in what should prove to be an excellent (hopefully quite intimate) gig. We mention it because, despite being absolutely awesome, he seems relatively unknown here in the UK and The 405 can easily endorse his twee singer/songwriter ascendancy.